$10 and a few hours in the garage get you a 60 lb PVC bow that you can use to practise your skills and even hunt with. Now that’s pretty cool. I don’t have any experience with bows and it is on my list of skills to learn, so I may well get out there and make one of these PVC bows myself. Has anyone made a PVC bow like this? How did it turn out? Do you have any tips not included in the video? A good quality survival/bushcraft knife is the single most important item to have with you in the wilderness. It can save your life and keep you alive in so many different ways. To emphasis this, highly trained wilderness survival experts can survive with no other equipment apart from their trusted survival knife, such is its ability to provide for their needs. Given that we now know how important choosing the right knife can be, it is vital to know what to look out for when choosing a survival/bushcraft knife you can depend on, when the going gets tough. 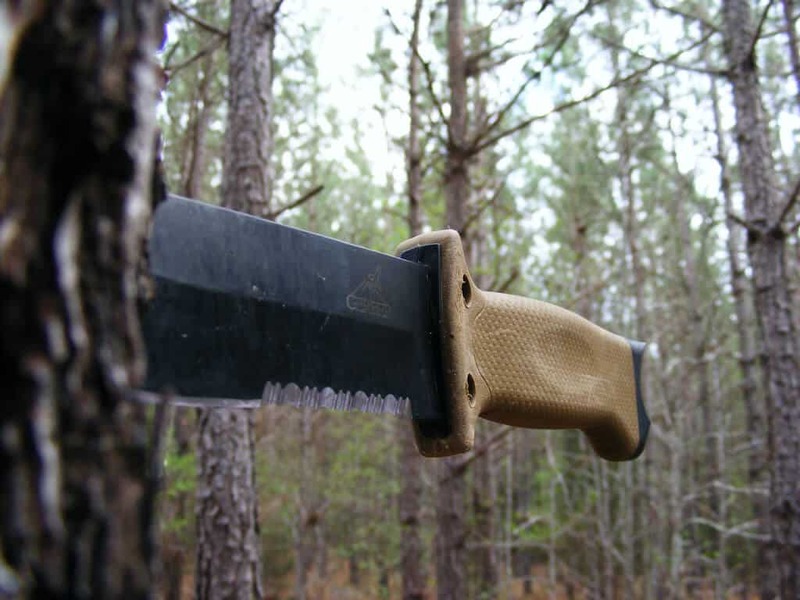 If you’d like a bit of advice on what to avoid when selecting a survival/bushcarft knife, check out the article below from the Knife Depot. Ok, you can see from the photo that this is no Ka-Bar Becker BK2 Campanion, beast of a knife. It’s not up to heavy duty tasks like cutting/splitting wood, BUT, it’s small, light-weight and sharp as hell. It is made from a hacksaw blade. You can make any design you like (personally I would wrap the handle in paracord) and it cost 10 cents (or nothing if you already a hacksaw blade) and take 10 minutes to make. I think this is a great idea for a light-weight neck knife or a backup knife for your pack or bug-out-bag. Check out how to make one below. How great would it be to be carrying a quality knife you made yourself? A custom knife which is made to your own design and to your own specification. I know what you are thinking… I don’t have the knowledge or expertise to make a high quality knife like this. Well I’m here to tell you, you probably do! And what’s more, you more than likely already have the tools required, which can bring the cost of making your knife down to around $0. You can obviously spend a bit more if want your knife to be really nice, with a nice sheaf etc, but you don’t have to. How is this all possible? You’re going to use an old steel file for your knife blank. The hardened steel good quality files are made from is almost ideal for making knives from. Making a custom knife from scratch is far more difficult and tedious. But by using a file to short-cut the process, almost anyone with some basic DIY skills and tools can make their own custom survival or bushcraft knife in an afternoon. How great would it be if someone said – wow Man, nice knife, where did you get it? And you reply – I made it myself! If you want to make your own custom knife, The Knife Depot have a great article about it below. In their article, there is a basic walk-through of the process and also a link to a very detailed tutorial if you want to give it a shot. Pocket knives seem to be getting more tactical, high-tech and expensive by the day. You can easily pay $60-$100 for a quality pocket knife; the question is, do you need to? It largely depends on your needs. If, like most people, you are looking for a day to day simple pocket knife that gets the job done, you can’t go far wrong with an Opinel knife. Opinel make inexpensive, reliable knives, made from high-quality materials. If you are considering an Opinel knife for day to day use, I recommend the Opinel No 6 Carbon Steel Folding knife. The No.6 is an excellent general pocket knife that gets the small tasks done. The blade is made from a durable carbon steel, it is very sharp (and easy to sharpen) and the handle is made from beechwood. It is only 3 5/8″ when closed and weighs just 1.2 ounces. When it’s in your pocket, you hardly know it is there. It is hard to understand just how light Opinel knives are, until you hold one, this is mainly due to the light weight beechwood handle. The other USP for Opinel knives is the Virobloc double safety ring. This is the ring you can see which sits between the handle and the blade. With a flick of your thumb, this swivels round and locks the blade open when in use. It can also be used in reverse and lock the blade in the closes position for additional safety when in your pocket. What else do you want for your $10? Timeless design and heritage? Opinel knives were first manufactured in 1890 by Joseph Opinel, they have since sold over 200 million knives worldwide and they are still 100% made in France. All in all, for the quality for material and design and the price it costs, the Opinel No.6 is highly recommended. This is how most of us do it.. Pretty much everyone has at least one knife. It might be a small penknife or a large bushcraft/survival knife. The question is – do you know how to correctly sharpen your knife? If in doubt, Ray Mears is here to the rescue. 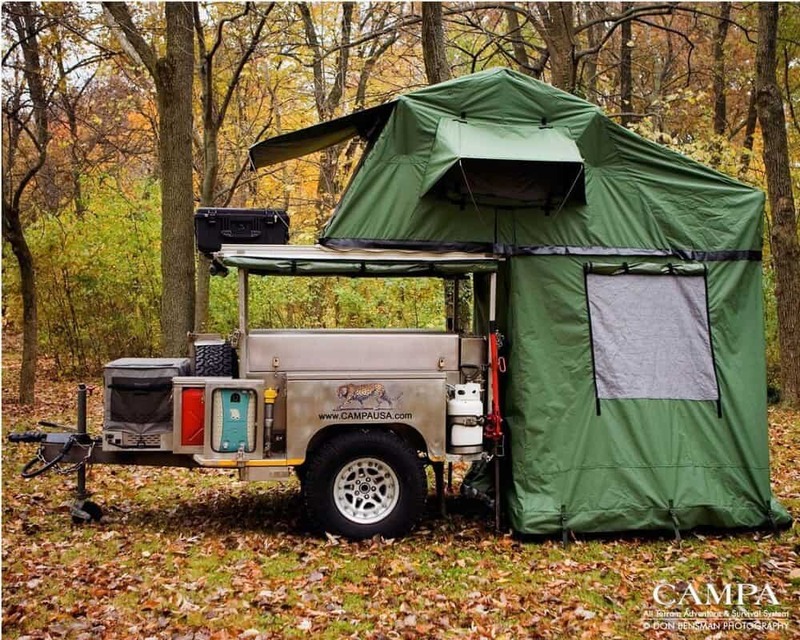 If you have an questions about the All Terrain Trailer, extras or options, contact Campa USA via the their website. We’ve been told that a survival knife is our best friend whether we bug in our out, that we can use it in a wide variety of situations. But what are they, exactly? I’m not talking about cutting various things, I think we should be aware of other, unconventional ways of using it. We should also be aware of some of the ways not to use it. For example, one my mistakes was that I used it to open a bottle that I couldn’t with my bare hands. I ruined the tip a little bit and learned my lessons. Still, in a survival situation, we might be forced to use our knife in ways we normally wouldn’t. Let’s see what some of them are. Maybe you’re trying to quickly bury something and you don’t have a shovel or the time to make a primitive digging device. Maybe you’re digging for plant roots to make salad. You can use your survival knife to do it, although it’s best if you had two of them. If you’re in love with your main knife, you should definitely use your back-up knife to perform some of these tasks. The Morakniv Companion is cheap and has a great build, maybe you can use that? It would be nice if you had a real hammer but, in an emergency situation, it will do. Though you should be able to carve your own stakes to keep a tent or a tarp in place, you can save time and use your (back-up survival knife). This is something you have to be careful with but it will make you feel like a badass. Ok, so most people would rather take self-defense lessons, but knowing how to use a knife will only increase your odds. Of course, if you don’t know how to use one, they might actually decrease your odds because your opponent can grab it and use it on you. As long as you have a ferro rod and some tinder, you’re ready to light a fire by striking the former to the steel component of the knife. It might be the only way to communicate if the Internet is gone… yes, this last one is trivial but I added it to remind you that your laptop or smartphone won’t be your best friend post-collapse. Your knife will. Well, you may be interested in getting a bushcraft knife. Not a bad idea, particularly since you may need a secondary one for some of the uses above. There’re a lot of things to consider: the material, the length of the blade, the handle and even the shape of the blade. A month or so back I was contacted by EcoZoom to see if I would be interested in doing a post about the EcoZoom Zoom Versa stove. I have had my eye on these EcoZoom stoves fro quite some while, so I gladly agreed. I have not been paid to do this, but EcoZoom have provided a stove at no cost for me to try out. This will in no way bias my opinions. EcoZoom’s Versa Stove can burn wood, charcoal, or dried biomass and is our most versatile cook stove. The Versa is a great option for those wanting cook fuel options while still providing the same EcoZoom durability. 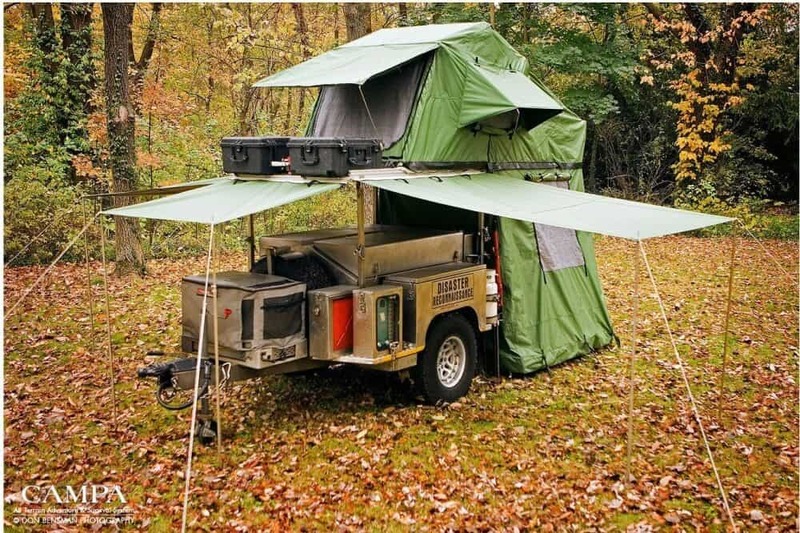 The Versa is our most popular emergency preparedness model in the United States and is also great for camping. The Zoom Versa features an abrasion resistant and durable ceramic combustion chamber with a 10 cm in diameter vertical section that forces the gases to mix with the flame, decreasing harmful emissions and adds a refractory metal liner to the inside of the combustion chamber that protects the ceramic insulation, increases the life of your stove, and improves combustion efficiency. This stove features our new hinged combustion chamber doors enabling for an effortless conversion from wood to charcoal fuels. Both the main combustion chamber door and the damper door (bottom door) have reinforced metal frames and have hinges that serve to securely close the doors and regulate airflow. The Zoom Versa also has a durable, reformulated 6-pronged cast iron stovetop that improves heat transfer for all pots including round bottom pots and woks. Ok, so now you know how EcoZoom describe the Zoom Versa, let’s see how it works! The first thing I noticed about the Zoom Versa when it was delivered is just how heavy it is… It weighs 12KG, so it is definitely not for camping or bugging-out on foot, but that’s kind of obvious given the size of the stove anyway. The next thing I noticed (when I removed the stove from the packaging) is just how well made it is, it really does feel like a premium product. The outer shell is enameled metal with a nice heavy duty cast iron cooking surface. The two doors open and close well and the handles are very useful for moving it around, given its weight. So how well does it actually work I hear you ask? Simply put – if you want extreme heat with minimal fuel you’ve got it! See the photo above, that is effectively a handful of twigs. I should note that the stove had been fired up for around 10 minutes first and that is an important point to make as due to the thick insulated chamber walls it takes a while to warm up, and for the stove to reach maximum efficiency. If you note in the photo above the air inlet door is open quite wide, which is why it is burning like a rocket. If you close this up the flame drops down and it burns less intensely due to the reduction in oxygen. You can adjust the cooking heat by opening and closing this door, it really does make a huge difference. I tried the stove with wood and charcoal, I found that wood creates the best quick intense heat and is probably best for cooking meals that cook in 30 minutes or less. I found the charcoal didn’t give off the same amount of heat, but it burnt for ages, with three handfuls of coals burning for 2 hours plus, which would make charcoal a great option for slower/longer cooking dishes. When cooking with wood I would say the stove gives off around 80% less smoke than a campfire. It probably uses around 70% less wood due to its efficiency and the intense heat it generates. The EcoZoom Zoom Versa also comes with a pot skirt (see the video above), which I didn’t really get on all that well with, and for some reason I forgot to photograph it! I have spoken to EcoZoom about this and my feeling is the issues I experienced were due to using a relatively small 3 liter pan (see photo above). I had an issue tightening the skirt to the pot and it slid off when lifting the pan from the stove, which could be dangerous. If you watch the video about you will notice they use a much larger cooking pot. I can see how this cooking skirt would work much better with larger pots and woks etc. In my experience it doesn’t work too well with smaller pots. The EcoZoom Zoom Versa currently costs $129 in the US, and £116 in the UK/EU, but the really cool thing is – both come with FREE shipping,which given the 12KG weight is a huge plus. 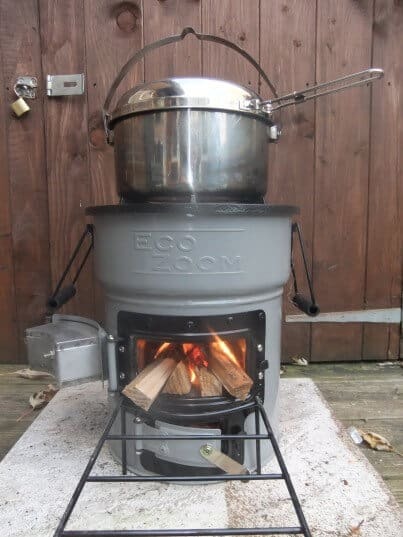 Another cool thing is that for every EcoStove model sold, EcoStove also donate the same model of stove for free to projects in developing countries. For that price you are getting a premium well made product. I can’t see anyone purchasing one of these stoves being disappointed or think that it isn’t worth the money. They are built to last and you can see/feel where your money has been spent. 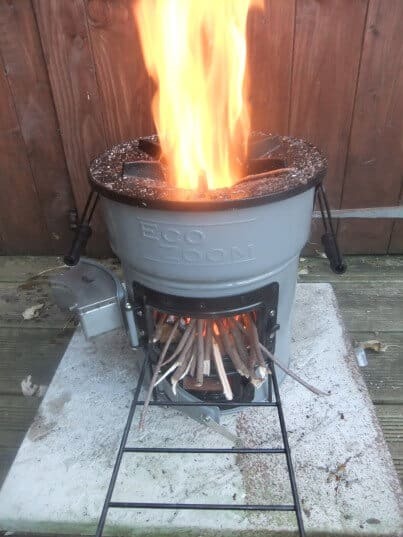 Due to its rocket stove design and the insulation it is an incredibly efficient stove for cooking on, you really do get much, much more heat from much less fuel. Once going it is also all but smokeless. The fact that you can regulate the cooking temperature by adjusting the air intake door is a huge plus over other outdoor cooking stoves. It allows you to quickly boil water but then adjust heat for longer slower cooking with a large pan or a Dutch oven. The bottom-line – the only negative I have is about the adjustable pot skirt and smaller pans. It can be dangerous, but it isn’t really an issue as you simply don’t need to use it for smaller pans anyway, such is the efficiency of the stove. I can see how/why the pot skirt will work better with larger pans, but I would still advise caution when using it as it does get extremely hot. I simply didn’t use it and I still though the stove was awesome. 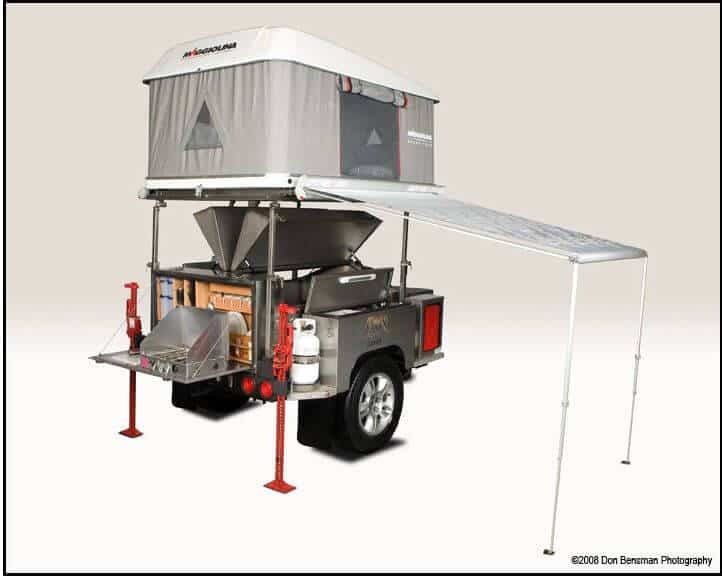 I think the EcoStove Zoom Versa is a great option for vehicle camping/touring, festivals, emergency preparedness and for general outdoor cooking as an addition to the barbecue. One of these next to the barbecue with a wok/skillet on it will take your outdoor eating experience to the next level. 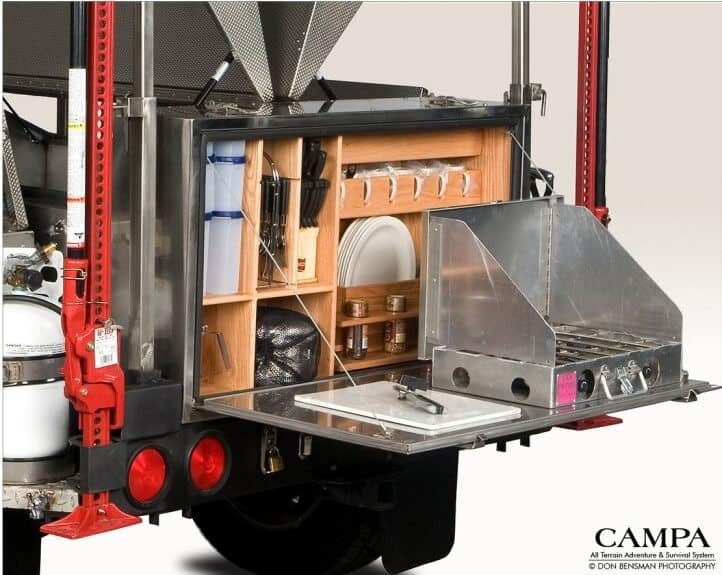 Whilst it is quite heavy, it is still compact and portable, so it can be stored out of the way at home or in a vehicle. This also makes the Zoom Versa a particularly excellent choice for emergency preparedness for people living in towns and cities where they don’t have the space for open fires or access to limitless fuel. All in all the EcoZoom Zoom Versa exceeded my expectations and I would highly recommended it to everyone reading this, and to friends and family. 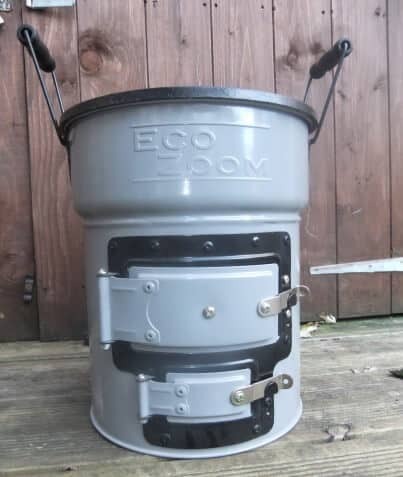 The fact that EcoZoom also donate a stove to third world projects for every stove sold also makes this a nice feel good product to purchase as well. Not only are you helping yourself, you are also helping a family in the third world. The EcoZoom Zoom Versa currently costs $129 in the US (click for US store), and £116 in the UK/EU (click for UK/EU store). You get FREE shipping from both stores! Both the EcoZoom US and EcoZoom UK/EU stores have agreed to give K.W.N visitors 10% off their orders until the end of January. To claim your discount, use the discount code: KWNUK20 during checkout. DIY Survival Or Utility Knife: Costs $1 & Takes 1 Hour To Make! Like many people who enjoy the outdoors, I am fascinated by knives! I have several, some of which I never even use, yet I still find myself browsing knives in stores and on Amazon. I also really like the idea of making some of my own DIY knives, and thanks to the clever tutorial below, this might happen sooner rather than later (cue wife asking why I need another knife, and we once again have the conversation about it not being about *need*). Many folks are put off DIY knife-making as they unsure about steel types and forges etc, but the tutorial below bypasses those issues by using reciprocating saw blades, also known as Sawzall blades. The quality of this steel is such that it doesn’t require hardening in a forge etc, nor does it need specialized tools to shape and sharpen it. Check out the tutorial below and find out more! Quick tip: If you want to save even more money, head down to some local factories/workshops to see if you can pick up some worn/damaged saw blades for free!